To import from other citation managment software, go to File and click Import. If you did not previously use any citation management software, you can import the files you have by adding PDFs. 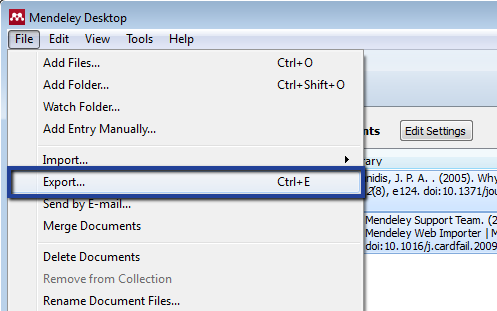 To export from Mendeley, select the appropriate files and then go to File and then click Export (or hit CTRL + E).